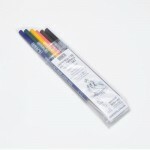 Our high quality underglaze pencils have been imported from Italy or the USA. The colour is vivid and is suitable for low and high firing, making it possible to draw illustration and lettering on bisque ware with freedom and precision. 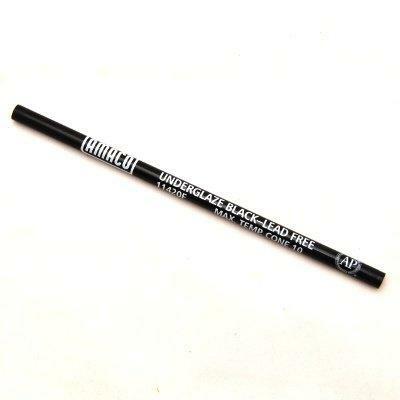 We sell Black as an individual pencil or a set of Green, Yellow, Pink, Blue, Brown & Black Underglaze pencils for decoration or signing ware. 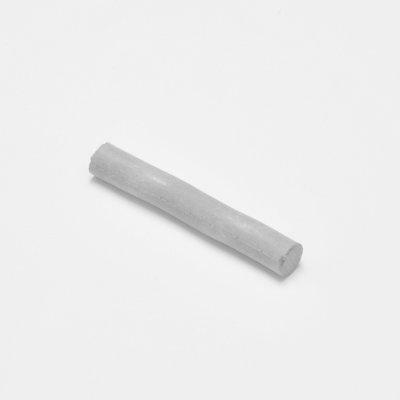 We also sell a soft grey crayon for decorating.